Amino Fish Pro™ is a great way to test your memory and have fun at the same time. The deck contains 60 cards, with three suits of 20 amino acids, colored by element, hydrophobicity, or charge. Extra cards with game rules and color keys are included. Unlike Amino Fish, these cards only show the one letter abbreviations for the twenty common amino acids. To play Amino Fish Pro, deal six cards to each player. 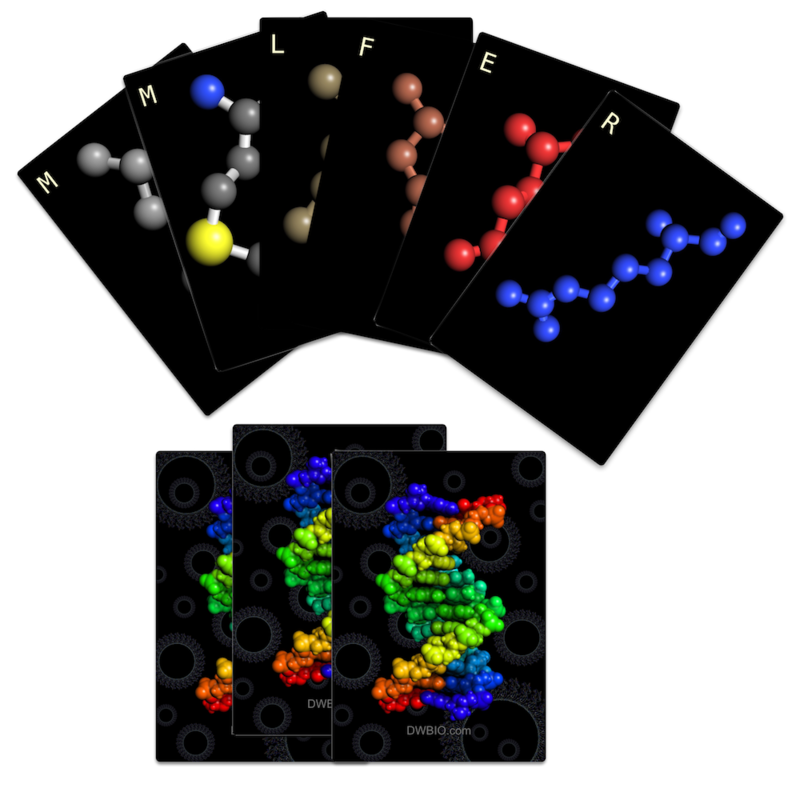 Mix up the rest of the cards in a pile on the table to make the primordial amino acid soup. Ask other players for cards by using the full names of the amino acids and try to make sets with three of same amino acid in each set. for example, a set might contain three methionines, one from each suite. The player who makes the most sets wins. Each card is 2.5 x 3.5 inches in size.